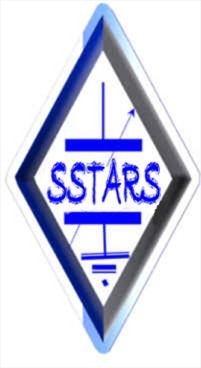 The Syrian Scientific Technical Amateur Radio Society. In 1947, a group of radio amateurs established the Technical Institute of Radio .The call sign YK.. ,assigned by the ITU “International Telecommunications Union“ was used. Mr. Rashid Jalal YK1AA was President of TIR (Technical Institute of Radio) since the beginning until 1983. He was an active ham until the last breath until he passed away in April 1991 after 43 years of continuous radio amateurism. The club station of TIR was named after him and the call sign YK0RJ is used for the club. In 1982, T.I.R. celebrated the 35th anniversary and on that occasion the prefix 6C… was for the first time ever used by the Syrian Amateurs for one week. The number of radio amateurs decreased until by 1977 only YK1AA remained holding the flag of the hobby. That year, his son Mr. Hekmat Zuhdi got his license with the call sign YK1AM and Mr. Michel Sioufi got his lisence in 1978 with the call sign YK1AN. In 1980 Dr. Omar Shabsigh got his license with the call sign YK1AO. In 1983, the first contact in Syria on the /160/ m band took place between YK1AA and YK1AO. That same year YK1AO, Omar was elected President of TIR with YK1AN, Michel Sioufi as Vice President and YK1AM, Hikmat Zuhdi as Secretary of the society. In 1987 the number of amateurs increased by five new members. Among them were the first ever lady amateurs: YK1DS, Dana and YK1YL, Siham. In 1986, for the first time, knowing Morse Code became obligatory to get an amateur license. In November 1994 and for the first time in the history of Syria a foreign DxPedition of radio amateurs reached Syria to work from Damascus with a call sign YK0A. They were from the Northern California DX Foundation. During this time three first time events took place: RTTY and Packet operation, and the use of the 10 MHz band and . In 2005 TIR was incorporated as the Syrian Scientific Technical Amateur Radio Society.